Branch said the Wolves are excited for Berehowsky to climb the hockey coaching ladder and wish him well. Branch said there has already been a ton of interest in the position. “At any time, these positions are highly valued within the hockey community and this is no different than at any other point of the season,” he said. Wolves head coach Dave Matsos said he will miss having Berehowsky beside him on the bench, but he is happy for him. 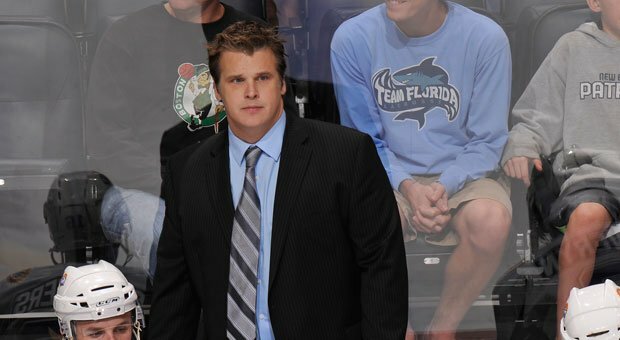 Matsos spent half a season behind the bench without an associate coach when he first took over the head coach when Paul Fixter was let go halfway through the 2015-16 season, so he’s is quite willing to do the same again while a replacement for Berehowsky is found. “It’s not about the pace and speed of getting someone, it’s about getting the right person for the job,” he said. “Obviously there is going to be a process, and we are familiar with that, so that’s good for us. It didn’t take long for the news of a coaching position up for grabs in Sudbury to travel through the hockey world and land on Matsos’ doorstep. Other than the associate coach search, Branch said it is steady as she goes for the local OHL outfit. “It’s just a case where we’re focusing now on looking forward at the games ahead and getting better as a group,” he said. The Wolves return to action Thursday night when they travel to Barrie to meet the Central Division rival Colts.